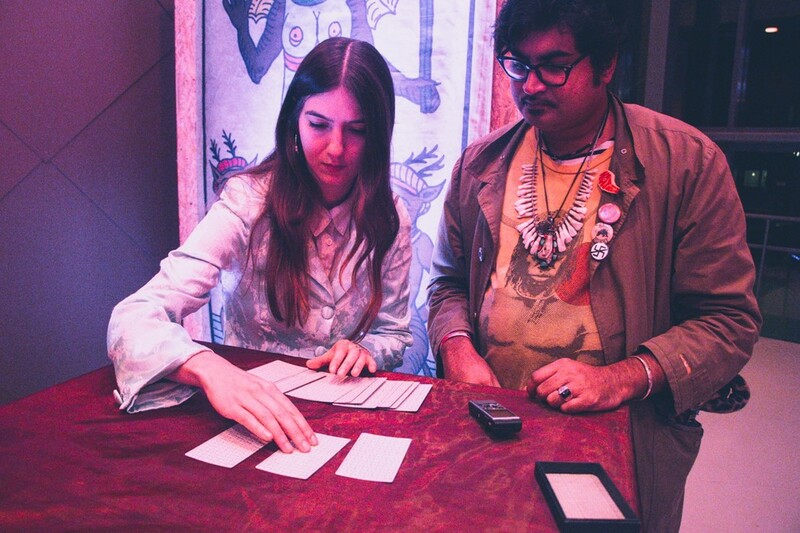 Thurston Moore, Sudan Archives, Meredith Graves and Weyes Blood get Tarot readings at Le Guess Who? At Le Guess Who? 2017, King Khan and Game of Thrones-designer Michael Eaton presented 'The Black Power Tarot': 22 Tarot cards on maximum scale depicting prominent African American personalities; mostly musicians, but also magicians, comedians, authors and activists, including Richard Pryor, Nina Simone, Howling Wolf, Tupac, Curtis Mayfield, Alice Coltrane, Sun Ra and Erykah Badu. As part of the project, Khan also did a series of Tarot reading for festival visitors. For Dazed Magazine, Lior Philips together with King Khan visited four artists performing at the festival to read Tarot cards: Thurston Moore, Sudan Archives, Meredith Graves and Weyes Blood. Read the full story here. "Sudan asks for advice on how to stay true to one’s natural art. “You don’t want to lose that organic process when you have people talking in your ear,” she says. Khan flips the Tina Turner card, or Strength, the perfect answer. The card depicts the icon sticking her head in a lion’s mouth, representing not only the ability to take major risks, but to let the beast speak from within one’s self. “I’ll never forget that. I’m a beast! Tina Turner!” Sudan exclaims." Photography & interview by Lior Philips.